1. 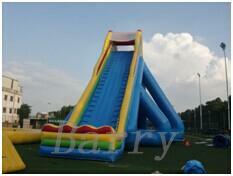 Inflatable Games including inflatable bouncy castle for bouncy castles,inflatable combo,inflatable slides, inflatable tunnels ,inflatable bouncer,inflatable funland,inflatable obstacle course,inflatable sports,moon walking,and more, material is 0.55mm 18oz. 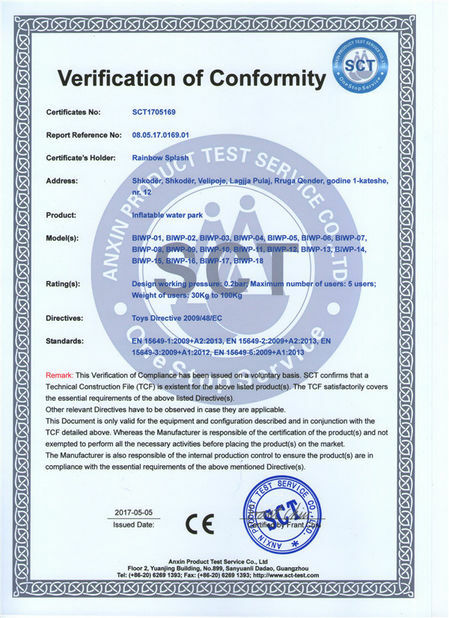 PVC tarpaulin and the flame resistance conforms to British standard BS7837. 2. 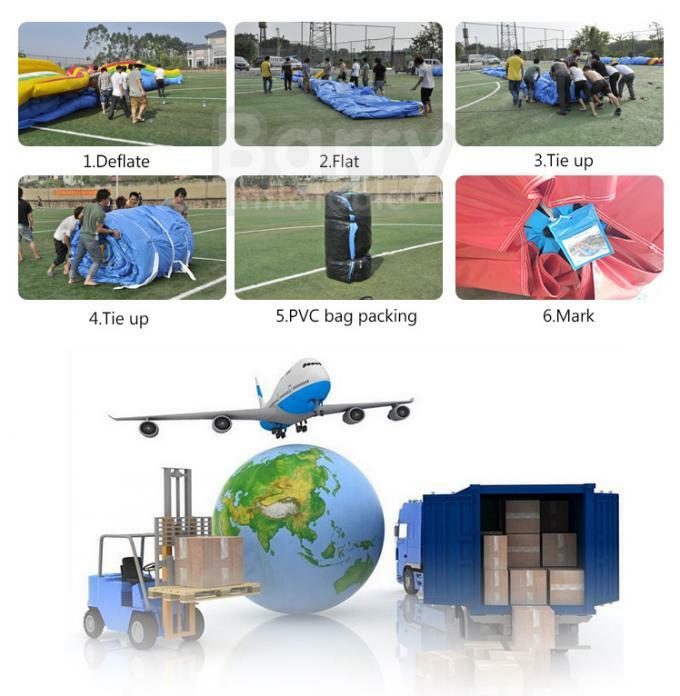 Sealed Inflatable products including paintball sports, water sports,inflatable water pools, sealed promotional inflatable products ,water walking ball, zorb ball,inflatable boat,inflatable water games and more. 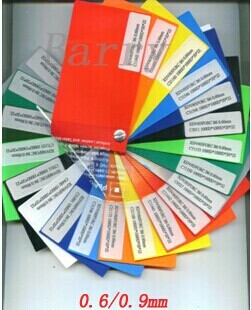 Material is 0.6-0.9mm PVC tarpaulin, which is perfect for sealed inflatable products. 3. Advertising products including inflatables tents,inflatable arches,inflatable balloons,inflatable air dancer,inflatable products shape,inflatable Christmas,inflatable screen, Christmas inflatable products and more. Different kinds of materials are available. 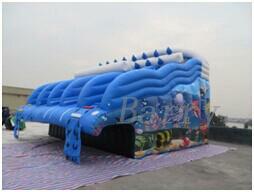 High quality materials are essential for producing inflatable products. 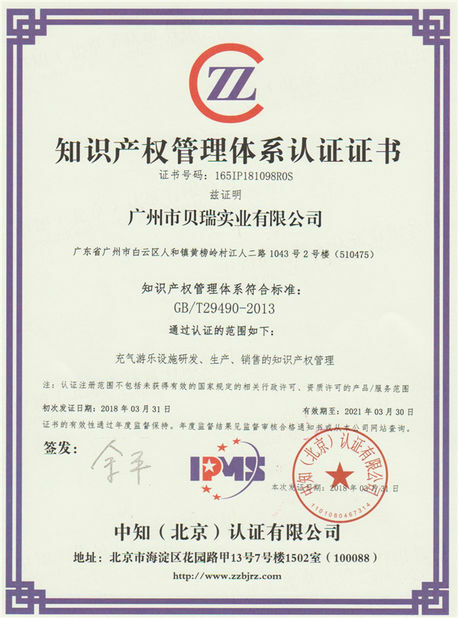 All of the raw materials we used are originated from the best material supplier in China——PLATO. 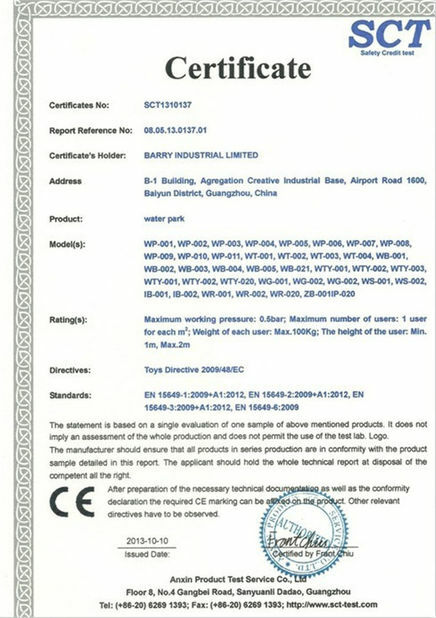 All of the raw materials we used have passed EN71, EN14960 and ROSE test. We double stitching everywhere, with fourfold stitching at bottom stress point. Double stitching inside and double stitching outside, and to make sure the inflatables are strong enough. 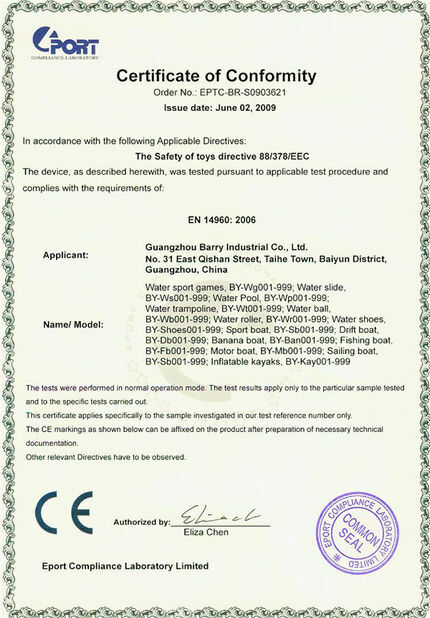 Barry inflatable has 20 years experience in stitching product, we use high quality professional inflatable sewing machines and the computer-controlled cutter. 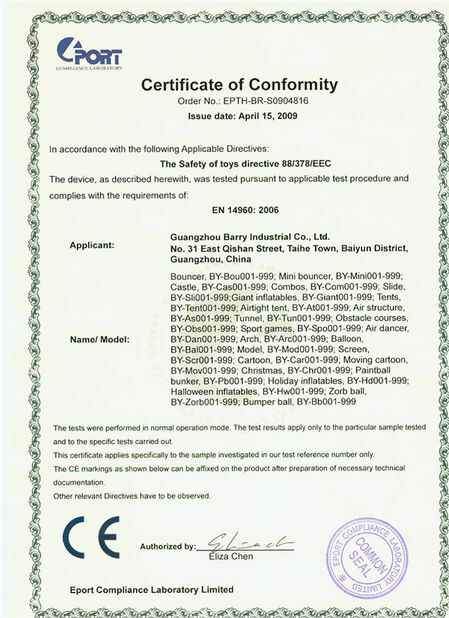 The product we stitching is delicate and safe.And we will check the machine in time. 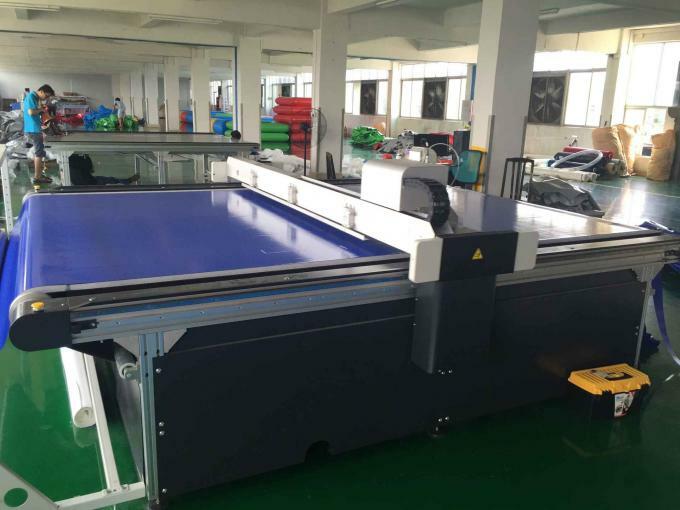 Many of our products is hand printing,it is more lifelikeness and durable ,for the large printing ,we will used digital printing,and we make a liquid protecting film on the surface of digital printing. 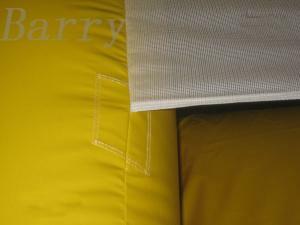 The high level painting makes barry inflatable product will not be sticky and color fade, but sustain a long time.Any logo yoou want. 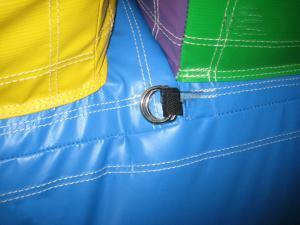 We make enough air out zipper to deflate quickly for each game according to the requirement of EN14960. We do reinforcement for all the zipper joints, and above the zipper, there is a zipper cover by velcro material which is help to disperse the zipper's stress. 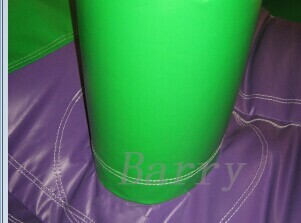 Barry inflatable Inflatables will make reinforce strips at the bottom joint and each corner. 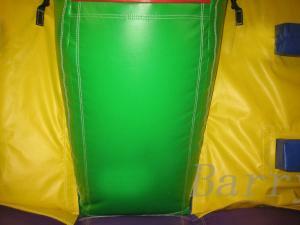 So when the kids bounce on the games, you do not need to worry about the safety at all. As the bottom can bear the kids no matter how they play on the games. 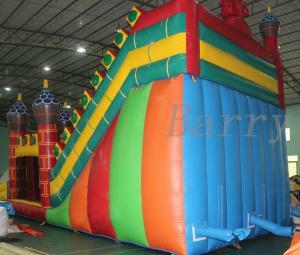 Barry inflatable make reinforcement line at the bottom of each small obstacles, so they will not be cracked after children’s push and press. And we make a protecting cover inside of the tunnels, which stick to game with velcro material. 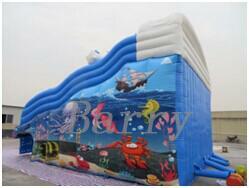 Each product will have at least 6pcs thick anchor rings to fix the inflatable. For some big games or high slide much more anchor rings on top and bottom. They make the inflatable steady enough. For giant slide, we specially design some ropes and fixation along the slide climb route way as you can see from the picture. 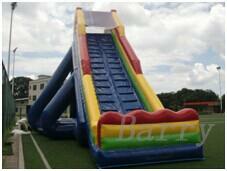 Players can grasp the ropes when they climb on the slide so that it is more easy and safe to get on the top. 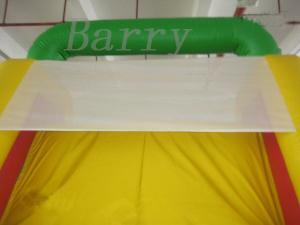 Barry inflatable will make net on top of the slide and 1m along the slide slope, to help protecting people stand on the slide platform. We may also make net wall inside of slide to protect kids get out, and for obstacles, we make net when there’s no inflatable wall, to make sure that kids will not fall down. We spread air out to help deflation before roll the game, then put a band belt outside to tie it. 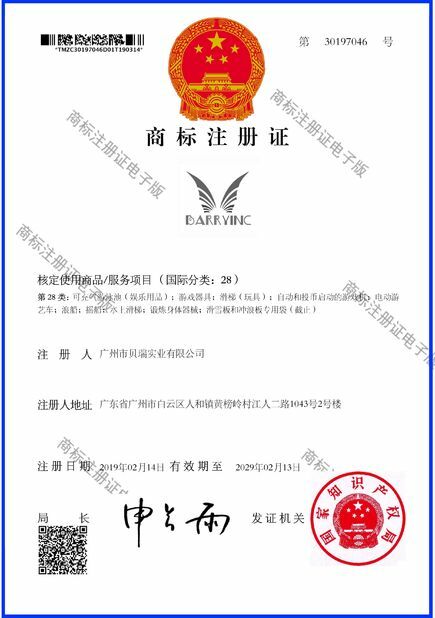 We will use the durable pvc bags for the products and the carton is for the air blower.No need to worry about the shipping. 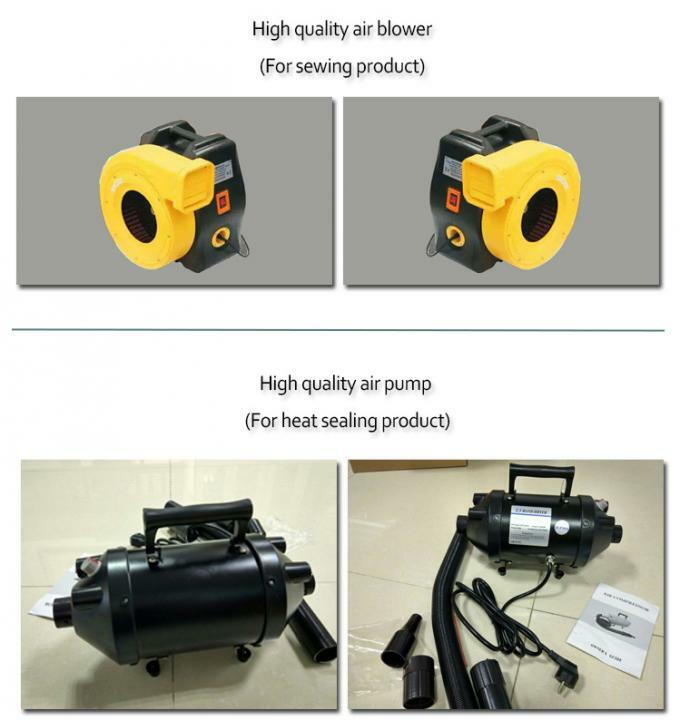 Barry inflatable offers CE/UL approved blowers and pump to comply with different market requirements.The plug can be customized.